I hope you’re well. I wanted to reach out for an idea for Seventh State. As you likely know, the e-cig industry is currently being regulated by the FDA and there is looming regulations coming out of Annapolis (21 bill) and Baltimore City (flavor ban). We are reaching out to see if you have interest in interviewing the vaping industry’s national spokesperson, David Pasch, on one of your talk shows. We want to help balance the coverage, as there is considerable evidence that vaping products and e-cigarettes are among the most useful tools to help adult smokers’ quit traditional cigarettes, as noted in this recent study by the New England Journal of Medicine. This new tax would make it harder for adults to gain access to these life changing products which are not only 95% safer than combustible cigarettes, they have been proven nearly twice as effective as other nicotine replacement products – like patches and gum – at helping adults quit smoking. David Pasch, a spokesperson for Voices for Vaping, is available to further discuss the impact this tax would have, especially for adults seeking alternatives to smoking. David previously served in a senior communications role at the U.S. Department of Health & Human Services, as a Communications Director in the House of Representatives, and for various non-profit organizations active in the healthcare and public health space. Maryland became one of the first states to ban smoking in indoor workplaces in the country under the leadership of the then-Gov. Parris Glendening, Raymond’s father. While e-cigs may help smokers quit, they have also proven to be quite the gateway drug for teenagers, who are more likely to take up smoking if they used e-cigs. Of course, there is nothing healthy about e-cigs, which contain nicotine and formaldehyde among other noxious chemicals. 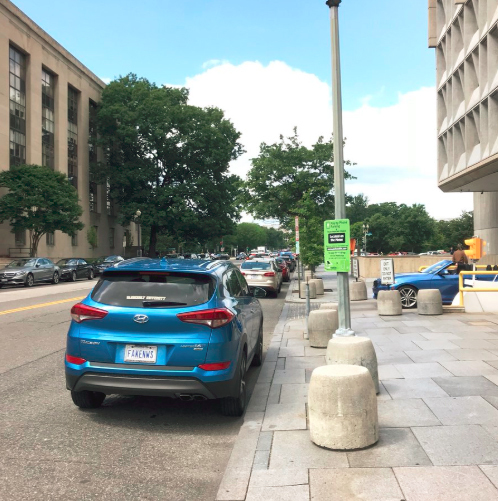 David Pasch, who ran HHS’ digital communications until this month, regularly parked his car — with “FAKENWS” vanity license plates — outside agency headquarters.